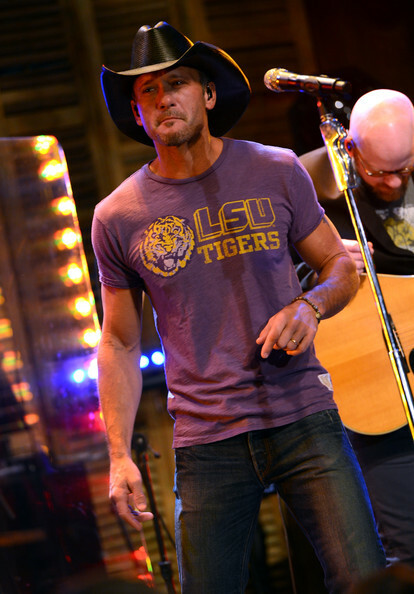 Tim McGraw performs on ABC's "Good Morning America" at the House of Blues on February 1, 2013 in New Orleans, Louisiana. Tim McGraw got back to his country roots with a black leather cowboy hat. Tim McGraw showed his loyalty with a vintage sports t-shirt while performing at "Good Morning America."